Federal prosecutors are seeking the death penalty for the man who opened fire at a busy Pittsburgh synagogue, killing 11 people and injury six others. 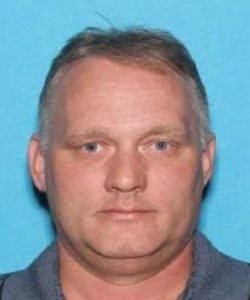 Robert Bowers, 46, who was injured in a shootout with police, is scheduled to appear for his first court appearance Monday. U.S. Attorney Scott Brady said prosecutors are seeking the death penalty after Bowers burst into the Tree of Life Congregation on Saturday morning and shouted his hatred towards Jewish people as he opened fire. He was armed with an AR-15 and three handguns. Court records indicate Bowers told one officer, “They’re committing genocide to my people. I just want to kill Jews,” according to CBS News. Posted: 10/29/18 at 10:51 AM under News Story.